January 20, 2012 – At SEEDS Academy (Sports for Education and Economic Development in Senegal) in Dakar, Senegal, the best young basketball players from across West Africa are hand-picked to take part in a strenuous program of academics and athletic training for a chance at a full scholarship to a top U.S. prep school. 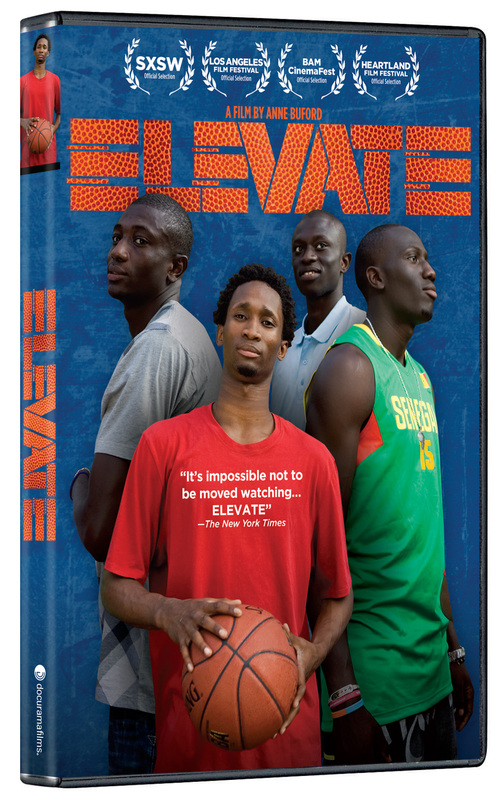 ELEVATE features four scholarship recipients as they travel to America with a hope to play basketball at the NCAA level and eventually the NBA. 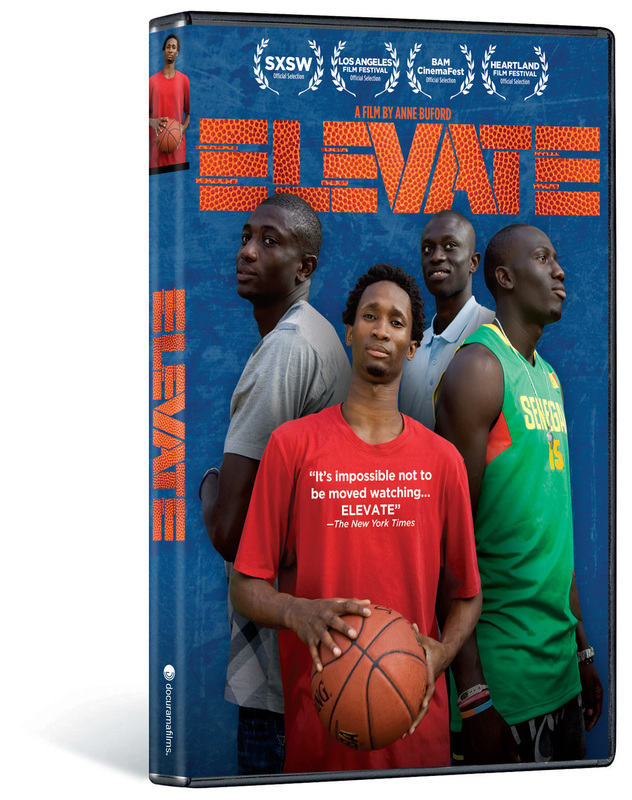 As a “love letter” to the sport, Docurama Films will release ELEVATE on cable VOD, standard digital platforms and DVD on February 14. Director Anne Buford follows the high-stakes journey of these young men over four years and across two continents, documenting the daunting challenges that come with being a stranger in a very foreign place. 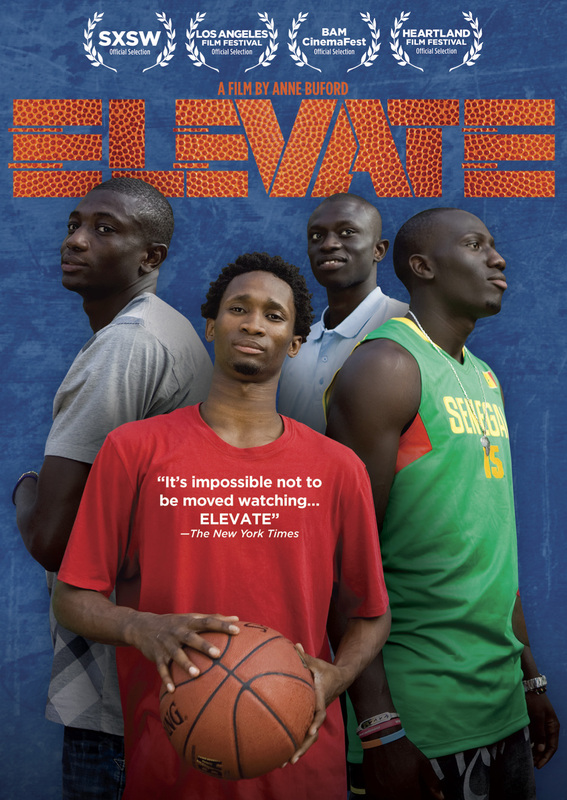 Challenging more conventional perception of Africa, America and athletes, the film documents the extraordinary personal journeys of four teens with big hearts, open minds and very tall dreams. As they make their transitions to life in America, the seven-foot-tall sixteen-year-olds must deal with obstacles such as mastering English, dating, and drivers’ ed to navigating the vagaries that come with being a Muslim at a Christian high school. Amadou Gallo Fall—Amadou is the founder and director of SEEDS Academy. In the 1980s, he obtained a basketball scholarship to the University of the District of Columbia. After playing and working as a scout for the Dallas Mavericks and serving as Director of Player Personnel and Vice President of International Affairs, Amadou was promoted to the Vice President of Development for the NBA in Africa. Aziz N’Diaye—Aziz attended the Lake Forest Academy in Illinois where he became a prospect for top college basketball recruiters, ultimately choosing to attend the University of Washington. Assane Sene—Assane made good on a promise he made to his mother before she died that he would receive an education and be successful through basketball. Assane continued his education at South Kent School in Connecticut and, was heavily recruited and after graduating high school, chose to attend the University of Virginia. Dethie Fall—Dethie would like to be a doctor and help his impoverished community. Like Assane, he attended South Kent School and is currently playing basketball at Roanoke College in Virginia. Byago Diouf—Byago is determined to help his impoverished family, especially his ailing mother. After playing in a world basketball tournament in Arizona, he attended the College of Southern Idaho and is currently a point guard for the Caroll College basketball team in Montana. The film premiered at the 2011 SXSW and won the Target Filmmaker Award for Best Documentary at the 2011 Dallas International Film Festival. It was also an official selection at the Los Angeles Film Festival and BAM CinemaFest. ELEVATE is directed by Anne Buford; executive produced by RC Buford, Peter Holt, Robert S. Kaplan; produced by Anne Buford, Chiemi Karasawa, Mark Becker, Victoria Yoffie; edited by Mark Becker and Chris White. The DVD includes the theatrical trailer. In 1999, NEW VIDEO launched Docurama Films® with the first feature documentary ever available on DVD: D.A. Pennebaker’s Bob Dylan: Dont Look Back. Twelve years and 300 award-winning, highly-acclaimed titles later, Docurama continues to discover and release the greatest non-fiction films of our time while spreading the word about filmmakers who are taking the form to new heights. Docurama’s catalog features an topics including the performing and visual arts, history, politics, the environment, ethnic and gender interests, and all-time favorites including The Wild Parrots of Telegraph Hill, Andy Goldsworthy: Rivers and Tides and King Corn. Recent titles include the 2011 Oscar®-nominated film, Gasland, and the platform release of Hell and Back Again. Celebrating its 20th anniversary in 2011, New Video is a leading entertainment distributor and the largest digital aggregator of independent content worldwide. Headquartered in New York City, with an international presence in 45 territories, the company delivers feature films, TV programs and web originals via digital download, streaming media, video-on-demand, Blu-ray and DVD, and theatrical release. New Video streamlines the distribution and marketing process for filmmakers, producers and brand partners to bring a wide variety of fresh content to new audiences. The company’s library includes original TV series and movies from A+E® Home Entertainment, HISTORY™, and Lifetime®, unforgettable games and trophy sets from Major League Baseball®, storybook treasures from Scholastic®, award-winning documentaries from Docurama Films®, Arthouse Films, and Plexifilm, next-gen indies and web hits from Flatiron Film Company®, the best in Chinese cinema from China Lion, and festival picks from Tribeca Film. New Video is proud to distribute the 2011 Oscar®-nominated films Gasland, Waste Land and, on digital, Restrepo.